"Happy New Year to all AustCham members and friends. For a number of members, 2015 was a challenging year, particularly our ESB members. However, we are all looking forward to an improved 2016. It’s good to see the results from our recent business survey highlighting that, overall, our members exhibit a continued, but cautious, optimism about the future business environment. I think this really shows the strong commitment of the Australian business community to doing business here in Thailand. This year, one of our key areas of focus will be on encouraging greater member engagement in the Chamber and its committees. While we had over 5,000 guests attending various AustCham functions last year, the Chamber can really achieve so much more for all when we come together as a whole to work towards our common goals. Please do get in contact with us if you are interested to be a part of our joint efforts. Advocacy work this year will focus on achieving concrete results from changes at the government level in areas that you have highlighted to us impact your businesses – mainly visas, customs and SME development. Making matches between members with mutual interests is one of the things we do the best here at AustCham; however, we are confident that we can do even more, and have big plans for reinvigorating our various networking events. A new Australia Day ball is one to look out for this year. Finally, our events and other activities could not happen without the generous backing of all our sponsors. We will ensure that are all duly recognised for the valued support that they provide and that as a community we both support them as well as each other. In closing, I wish you all the best for the start of 2016 and hope to see you sometime over the coming year. " The Australian-Thai Chamber of Commerce is proud to host the Qantas/Emirates Great Southern Land Australia Ball this Friday 29 January 2016. Returning to the week of Australia Day, the Australia Ball will showcase the best of Australian food, premium wines and a live band playing Australian favourites. Dress for the Australia Ball is formal although guests are very welcome to indulge their inner Aussie and add an Australian flavour to their dress. Details for the Silent Auction will be distributed this week by e-news flyer. AustCham Thailand is proud to announce Australians in Bangkok will feature as a theme of Silent Auction items. AustCham Thailand would like to invite members and friends to the Inaugural The Duchess Hotel by Wrightman 2016 AustCham Golf Tournament. 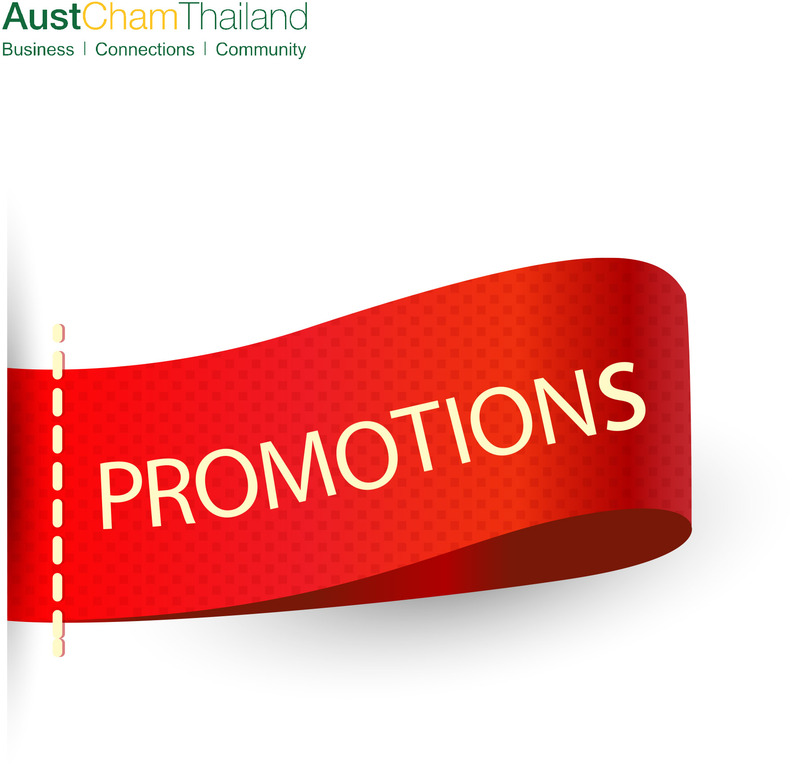 The Australian Thai Chamber of Commerce (AustCham) will hold its 2016 Annual General Meeting (AGM) prior to our monthly Bangkok Sundowners on Thursday 3 March 2016 at the Grand Hyatt Erawan, Bangkok. Please join us for Sundowners in March for the ultimate business networking event. This is a wonderful opportunity for members and guests of the Chamber to meet new people and expand their professional contacts in a social environment at the Grand Hyatt Erawan, Bangkok. A business survey by the Australian-Thai Chamber of Commerce showed that more than two-thirds of its members were planning to increase their investment in the region, with Thailand ranked highest for growth opportunities ahead of India, Australia, Vietnam and Indonesia. The AEC Blueprint 2025, adopted by the ASEAN Leaders at the 27th ASEAN Summit on 22 November 2015 in Kuala Lumpur, Malaysia, provides broad directions through strategic measures for the AEC from 2016 to 2025. Along with the ASEAN Community Vision 2025, and the ASEAN Political-Security Community (APSC) Blueprint 2025 and the ASEAN Socio-Cultural Community (ASCC) Blueprint 2025, the AEC Blueprint 2025 forms part of ASEAN 2025: Forging Ahead Together. Thai Chamber of Commerce chairman Isara Vongkusolkit, speaking in his capacity as deputy chairman of the Pracha Rat executive committee, voiced hope that the initiative would bear fruit within a year. Prime Minter Prayut Chan-o-cha unveiled the initiative last September to bring together the state, the people and the private sector for long-term sustainable development of the country. An overseas investor who is interested in investing in Thailand might have ever thought about the Thai industrial sector if he or she is serious about doing business there. The following briefly outlines an overview of the industrial policy of the Kingdom of Thailand under the supervision of seven governmental agencies, respectively. The alien overstaying in the Kingdom of Thailand for a long period will be banned from re-entering the country as follows. This rule will be effective on 20 March 2016. On Thursday 21 January AustCham's President, Brenton Mauriello, addressed media regarding our inaugural Business Survey. AustCham is pleased to welcome our first intern, Nadine Britton O’Brien from the University of Canberra. Specialising in HR Management, Nadine will be working with the Chamber during January to develop internal operational documentation. AustCham is delighted to announce that our Corporate sponsorship opportunities have been filled for 2016. Sponsorship opportunities for AustCham events remain available for 2016. Please contact the AustCham office for further information. Sendit develops website and mobile application platform for connecting ‘Mr.Send’, our reliable and well-trained messengers with customers who want to send parcels, documents, invoice, corporate billing or any item that a human can carry. To view his profile, please click read more. Sachayan is a leader in providing secure and comfortable living in the heart of the vibrant Thai capital city of Bankgok. Our selection of exceptional residences and facilities is truly beyond compare. The new Centra Maris Resort Jomtien is a cool oasis amidst the warmth of Jomtien Beach, the renowned beachfront in Pattaya, and is known for its water sports. The innovative design of the resort gives it a relaxed, stylish atmosphere with fresh design and a welcoming, family-friendly focus.